So…on the way back from Portland today, we stopped at Cupcake Jones. 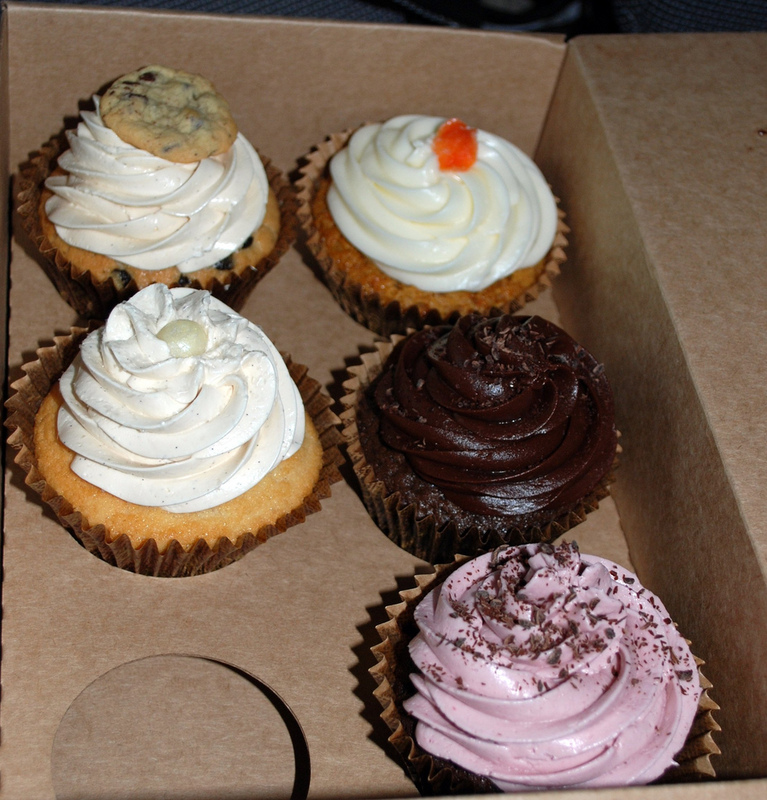 Seriously, does anyone expect me to go somewhere and not visit the local cupcakery? We went there on our engagement trip and LOVED the cupcakes we got that day: Root Beer Float for James and Chocolate Covered Pretzel for me. Downtown Cupcake Brown: delicious devil’s food cake filled with sour cream chocolate ganache topped with fresh grated dark chocolate. Pupcakes: apple and oat cupcakes for the puppies! The puppies loved the pupcakes. I don’t think this means much since they also lick their butts, but they have said, “No” to treats before. 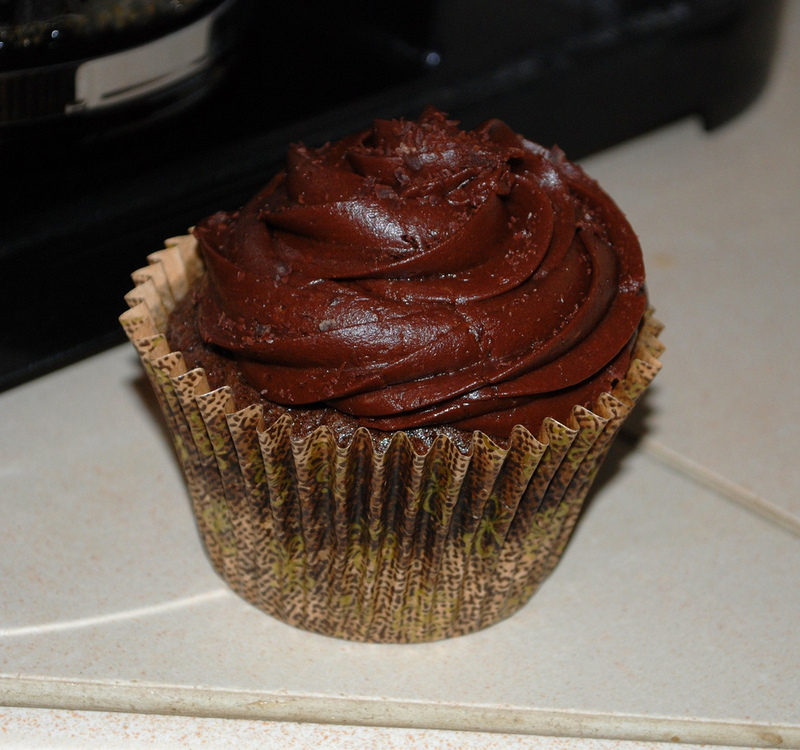 Downtown Cupcake Brown: The cake part was a bit dry. I didn’t like the sour cream chocolate ganache. The chocolate icing was good. 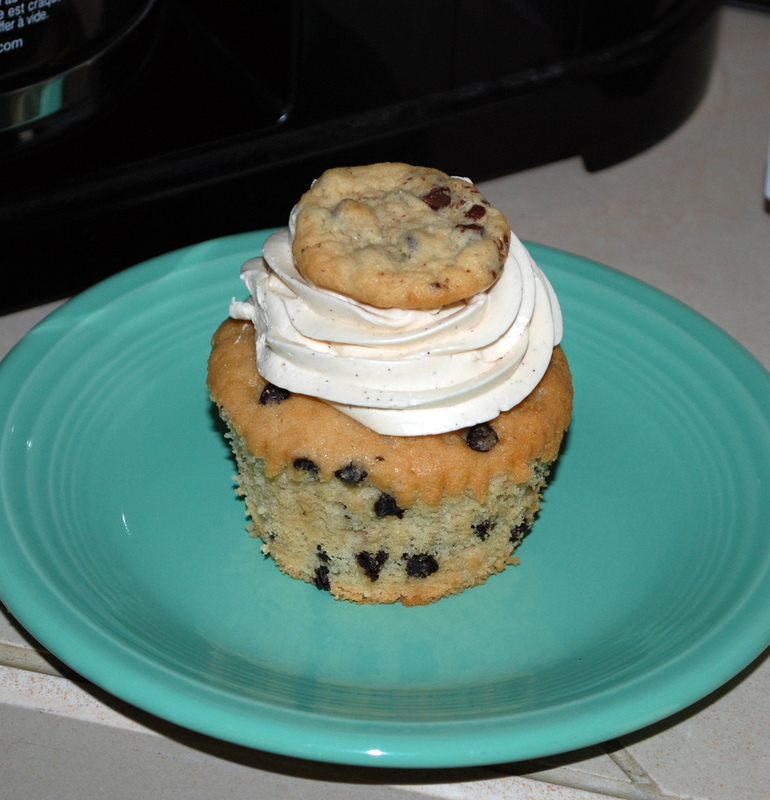 Chocolate Chip Cookie: So far, I’ve only had a mini, but there’s a big one with filing waiting on me. The cake was good: moist, not dry. The icing didn’t have much taste. Update 7/13/09: Today I ate the big one with the filling. The cake was fairly moist, but the filling was dry. It kindof tasted like cookie dough, but was a little dry. 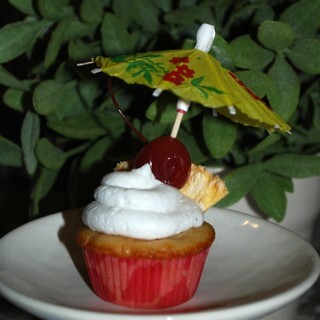 I know they can’t put raw dough in a cupcake, so I don’t know what I was expecting. What’s Up Doc? : YUMMY! 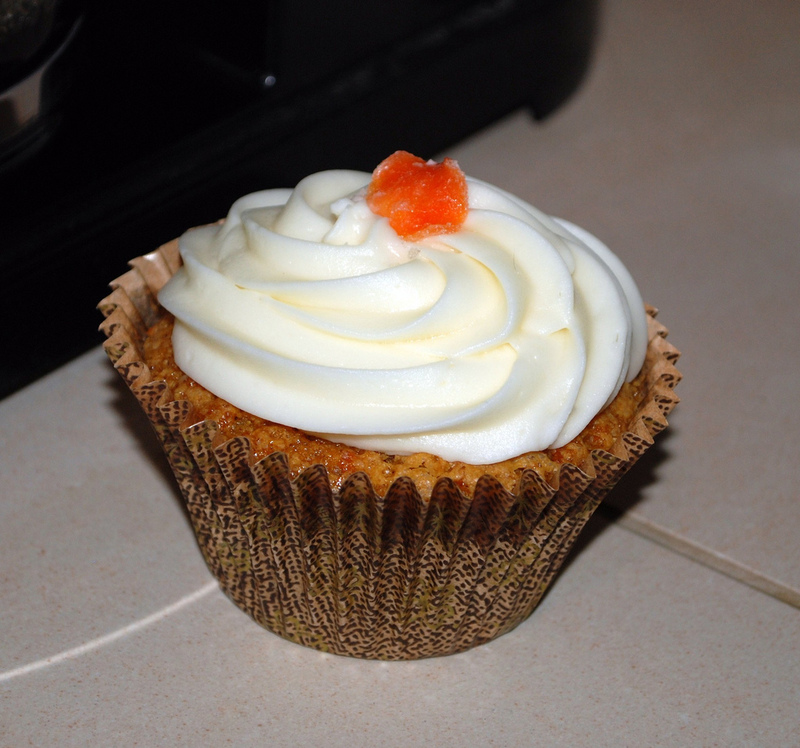 flakes of carrot and dots of spices were visible in the moist cake. The icing was “perfection” according to James. I thought it could have more cream cheese flavor. The stuff in the middle was just okay according to him. I ate a mini and it was really nice. Raspberry: This review courtesy of James: Dry cake, but good frosting.